Body & Soul Black Friday Giveaway: Korres 6 Piece Set! 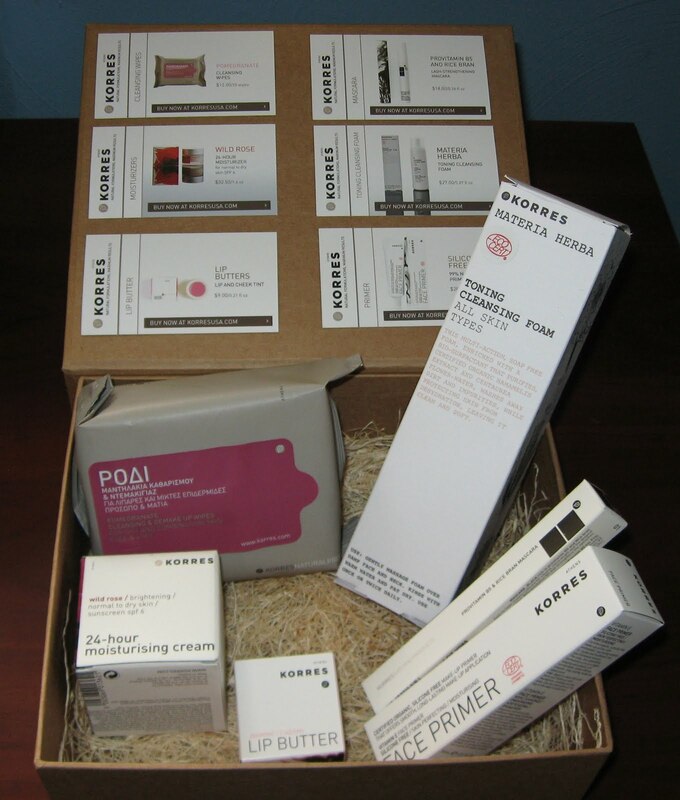 Above & Below: Win this box of Korres products! See below for details. Below: These cards are included in the box and give you a brief description of each product. Pomegranate Cleansing Wipes-I am finding these very useful as a makeup remover, especially on the nights I'm feeling too lazy to wash my face! They are very effective, smell terrific, and leave my face feeling clean and soft. They're oil-free and contain Vitamin E, as well as Pomegranate Extract. The properties in Pomegranate Extract also act as a pore minimizer. Wild Rose 24-Hour Moisturizer-this is an nice, lightweight moisturizer that includes an SPF 6. It leaves my skin feeling hydrated throughout the day and with no greasy feeling. It contains Wild Rose Oil and Vitamin C, along with a host of other natural ingredients for skin brightening, fine line reduction and an overall healthy and radiant glow. This one is recommended for normal to dry skin. Lip Butter in Jasmine-I love their lip butters! The contain Shea butter for moisture and rice wax to seal in the hydration. I've gone through countless pots of these over the years and they give my lips a hint of color and shine. I use them alone or over another shade to add protection and shine. Silicone Free 99% Natural Face Primer-I don't normally use a face primer, but so far, this one is very impressive. It minimizes my pores and seems to fill in lines without feeling like I've spackled my face in the process. It seems to give my finished look a smoother appearance and assists in an almost flawless application of my mineral powder. Materia Herba Toning Cleansing Foam-this is doing a great job thoroughly cleansing my face and leaving it feeling refreshed, without a feeling of tightness. I've noticed that my face doesn't get oily at all during the day, and it may be due to the Salicylic acids in this. It's packed with many natural and organic ingredients, including floral water and olive leaf. This particular type is recommended for all skin types. Lash-Strengthening Mascara with ProVitamin B5 and Rice Bran-this mascara (in black) has ingredients that nourish your eyelashes, in addition to providing length, thickness and color. I haven't used it long enough to be able to tell you that I've noticed a difference in the health of my lashes, but it definitely is a nice, buildable mascara that applies evenly and without clumping. It wears well throughout the day without flaking or smudging. If you check out their web site, you'll be able to see their vast range of products, along with ingredient lists. I am finding that their products are of excellent quality and I consider them quite indulgent! Their packaging is well-made and attractive, and many of the products contained in the giveaway come from various lines that they offer containing a multitude of other products available...in other words, if you like the Materia Herba facial cleanser, you might want to consider trying some other products in the Materia Herba line, such as the eye cream or moisturizer. If you sign up for their mailing list or join them here on Twitter, you'll receive additional specials and offers. They also have an International site which can be found here. RULES: You must be a follower of some sort to enter. This can be through Twitter, Blog Lines, the Follower Box over on the right, and so on. You can become a follower if you aren't already, to take advantage of my giveaways. Leave your eMail below, and just for fun, mention if you've ever tried anything from the Korres line and any thoughts you had on it. I'll draw a random winner on Monday, November 30, so have your entries in by midnight Sunday, November 29. As always, International followers are welcomed. Oh my god, what a huge giveaway. Of course i have to enter this giveaway, i never tried anything from this brand but i want to. Oh a greek brand finally!You should try Apivita too I prefer them and to my point of you are much better than Korres products!They have some fabulous products! I've never tried any Korres products. Thanks so much for doing this giveaway! i haven't tried anything from korres but i'm very anxious to! I've been dying to try something from Korres..
Follower! Never tried them! :( Would love to try them out! another folllower here! would love to enter as I have never tried these products and they are not available where I live, thank you so much for this great opportunity! I haven't tried Korres yet and I've been dying to! I got a little sample of their suncreen face cream watermelon in the sun care kit that sephora put out earlier this year! I haven't gotten to it yet. Anyway, the lip butter, the face primer and moisturizer are all things I'd love to try! Thanks for the giveaway! I have not tired Korres, but I have thought about it a couple of times. Unfortunately there is no Korres products in my country, so that requires online shopping and I have not got here yet if considering Korres products. It would be more than nice to try and review these. I've never tried anything from this Korres. I do know I'm dying to get my hands on some of those Pomegranate cleansing wipes! I am a follower too :) I have never tried anything from Korres, but want to a long time now. I love the fact that it is a greek brand! I'd be very happy if you pick me. I follow you with Blogger! I've never tried anything from Korres but I love natural products! I follow via my Gmail address but I'm leaving another e-mail address here: extemter [at] hotmail [dot] com. The only Korres product I've tried is the cherry oil lip gloss and it was too sticky for me to tolerate. OMG what an amazing giveaway! I'm in! And following! I've tried Korres makeup, only...the lipgloss, eyeliner, mascara, bronzer, lipstick and shadows. They do not let you down, guys, every single item is AMAZING! Very generous giveaway Mary. I have not seen this brand before, but when reading your thoughts and checking out their website, I must say it looks very fresh and exclusive. Would love to try these products, in particular the Cleansing Foam and the Wild Rose 24-Hour Moisturizer. Hey! I never tried Korres products before. I never saw it in stores either. It would be nice to see if the products really are as good as you said. =) Thanks for the opportunity. Am following you on Twitter. My ID is koalajoe. I have not tried any of those products, but I sure would like to! my email address is jennifer dot chenifer at gmail dot com. Thanks! I have never tried Korres at all. Reason why is that it is unavailable on here: no shop carry their products. But I've been sincerely tickled by the brand! I love their body butters! They are so moisturizing and creamy. This is a great giveaway! My favorite Korres product is the lip butter. They smell delicious and feel really nice on my lips, which always seem to be dry. It's a great conditioning treatment and I like to pick them up at sephora for presents to give to other people. Thanks!! Im a follower of your blog. I havne't tried and Korres products yet, I've considered but I just havent made the plunge yet. Thank you for the giveaway! Mary what a fabulous giveaway! I have not had the opportunity to try Korres yet, but the reviews are great. The Pomegranite wipes sound amazing! Oooh - lovely giveaway. I've never tried Korres but I'd love to! this is such a wonderful giveaway. I'm interested in the cleaning foam. I haven't tried anything from korres before! thanks for having this giveaway! Please include me in the giveaway. I've always wanted to try Korres products. I've heard many good things about them. I'd love to win all of these products. That's really a nice giveaway. Thanks Mary! Wow, that's really a huge giveaway! I would love to enter. :) I haven't tried any products from Korres yet, but I'd love to try it out, especially their lip butter since I have extremely dry lips and nothing seem to help. I've never tried any Korres products, although I hear it's a good brand. I iddn't go shopping either, those crazy shoppers are scary haha. I tried the Korres primer after rave reviews from a few friends, and it's really amazing. I'd never used a primer before, but I can tell you I'll never be without this stuff again! It makes my skin look sooo smooth and normal for once (haha). Love the lip butters too, I've got a few but Plum is definitely the prettiest for winter. i never tried korres and i've heard many nice things about it on various blogs. I'm a follower with the google thingy on your site. I'be never tried these. In fast, I have never heard of them! I would love to try them though. I have a very difficult skin so I'm always looking for new products that I can use. I follow by email & google reader! Love Korres Primer & tinted moisturizer! I haven't yet tried the Korres line but I would like to! My skin is super-sensitive so naturally-based things are usually a much safer bet. I've tried many, many skin care brands but never Korres! I've always wanted to give their products a try but so far I haven't gotten around to it. This set looks sooo good, the cleansing wipes and cleansing foam have really peaked my curiosity! Great giveaway! I would love to try out those things! Wow wow great giveaway! Recently I tried the Lash Lengthening products and love it , however havent tried any products from Korres ! Would love to try too!! Fantastic giveaway! I've never tried anything from Korres. What a lovely giveaway!! I have never tried Korres but all those products look great! Hi what a nice giveaway!! I'm a follower & have never tried the products!! I've never tried before the Korres products. I'm a follower on Twitter. 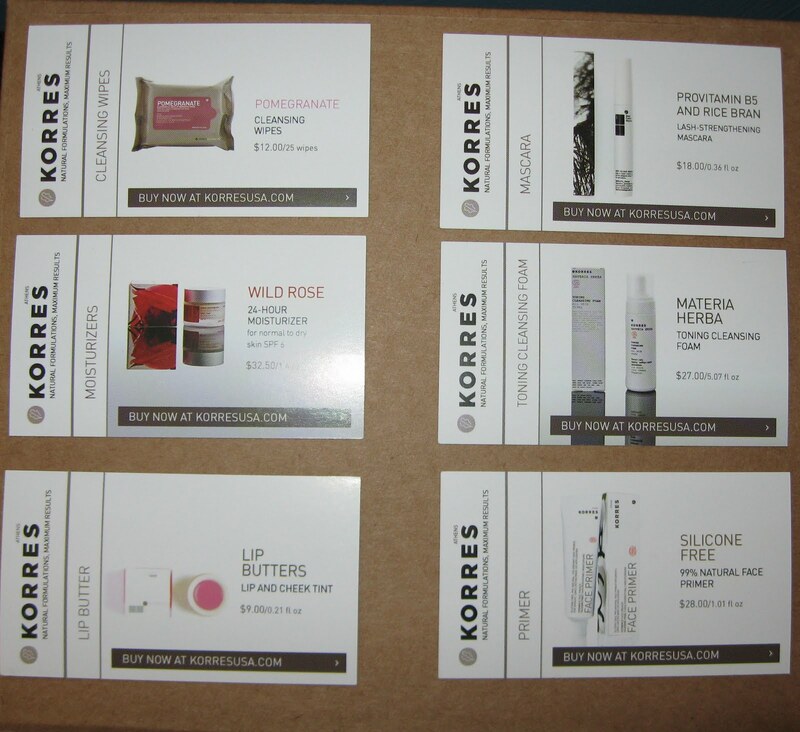 I have Wild Rose products by Korres. What a great giveaway!! I haven't personally tried anything from Korres but I would like to. I really like the fact that they use natural formulations! I thin your blog is beautiful!!! What a great giveaway! I have been thinking of trying Korres for a long time but haven't yet made the plunge. of course im already a follower because I love your blog. 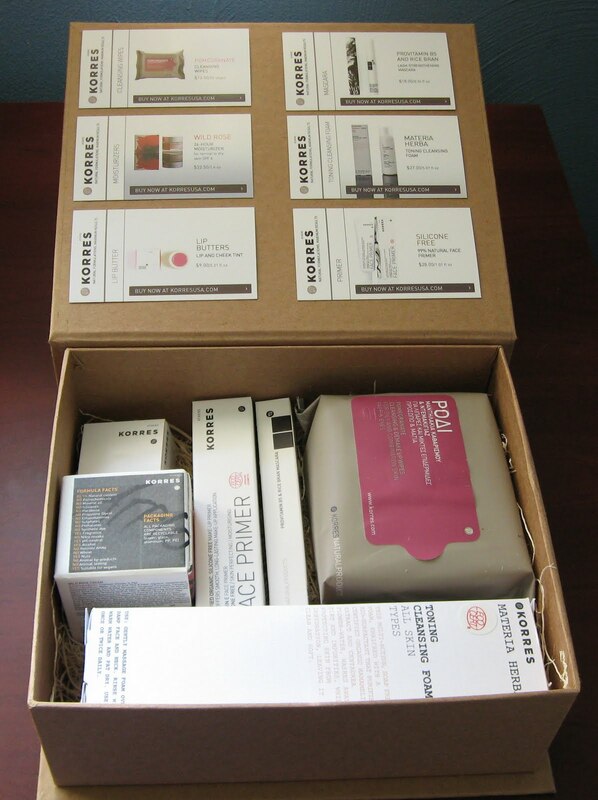 I have never tried any Korres products before but I would love to try some. I never tried korres but would like to. I've never heard or tried korres but i would like to try. I just love the Korres lip butters. i've never tried korres but i've certainly heard of this high end brand! I follow you via google (google reader) under the name Lina. I've never tried anything from korres before but would love to. I'm a follower through Twitter and your blog through RSS feed. I've never tried anything through Korres but would love to! Hi Mary! I have been eyeing the Korres display at Sephora. I love the scent of roses. My boyfriend really appreciates the smell of jasmine. That definitely puts me in the market for jasmine lip butter! I am certainly curious about the line. Thanks for doing this wonderful giveaway. I follow your blow, and have tried the milk soap bar. It has a nice leather but the scent was a little off-putting. I like the Korres lip butters and eyeliners. Their watermelon scrub is also great for summer. I subscribed to your blog via email a while back and recently also became a "follower" here on the site. It's a lot of fun to see what's up and coming out there! I have tried the cherry lip gloss! it is divine :) one of my favorites! I follow you through google reader. Hi! I'm a follower from Portugal! I've never seen those products selling here, so i never had the opportunity to try them. I love the lip butters! Hi, I was wondering if anybody knows where I can get Korres essential oils. I bought a lavender and a geranium last year on vacation in Greece but it seems that they're only sold there. I live in the U.S. and I can't find them anywhere on the internet which seems really odd. The quality was amazing and I really want to try the others and restock on the lavender and geranium. Please help! Hope that helps. I have no idea where to find it in the U.S., as I've never come up with anywhere searching either.